"How do I find my own sound?" This is a popular question from the more advancing student who has a grip on the fundamentals of guitar playing but wants to discover their own sound: Here are 5 tips that should help. What do YOU like? Not your friends, neighbours, the masses or critics. Its what you like that counts. Identify what truly excites you. Other people's opinions matter if you are trying to appeal to a particular audience or gain a record deal but ultimately if you are not playing music you are passionate about you will lose motivation. Staying true to the music you love will set you on a clear direct path to discovering your own sound. Focus on the guitar rather than the guitarist. It helps to listen to different guitarists but try not to judge. Some of my favourite guitar solos, licks and riffs have appeared on the records of artists of would not normally have listened to. Also just because a guitarist is famous and respected doesn't mean every note they play has to appeal to you. Pick out what you like about their playing and avoid copying everything they do. Brian May of Queen is one of my favourite guitar players but I only like certain elements of his playing. DO NOT try to be good at everything. Recognise your personal strengths and run with them. The key to success they say is focusing on your strengths and minimising your weaknesses. This doesn't mean you avoid working on your weaknesses. Just don't sweat on them too much and invest most of your time in to your strengths. 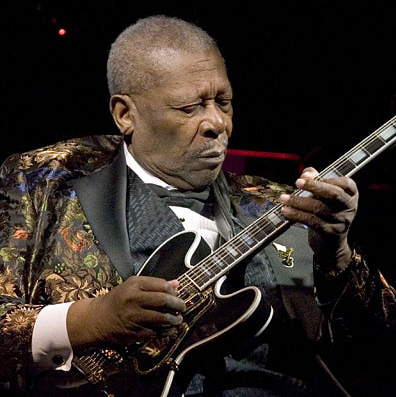 BB King for example doesn't know chords but boy he can do a sweet bend. Eddie Van Halen master tapping but the odds are he is not much of a jazz guitarist but hey I could be wrong. Pay attention to your sound. The quality of your sound can make all the difference. When I say your sound I am referring firstly to the way you actually play. For example the way you attack notes and hold them. How does it sound? Try playing just one note. Next is the equipment you are using. The guitar itself, the amp and also the guitar/amp combinations. Don't compromise. Keep searching for 'that' sound. Jam whenever with whoever. Playing with other musicians is like a good conversation. When you are in good company chances are you will lift your game and pick up ideas from other players. Plus its a lot more fun.